Here is my first picture of the 52 I have agreed to send this year. 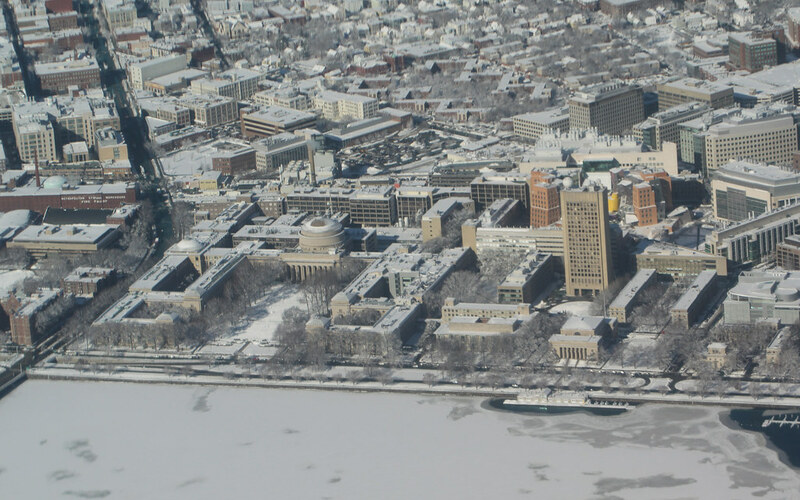 I was starting my flight from Boston to Peru when I looked out the window and I saw the outline of MIT in the snow. Sebastiao Ferreira completed five years as a fellow at MIT this week, and will be staying in touch by posting one photo per week from his home in Lima, Peru, and from his travels. I love this! I can’t believe you were able to capture this from the sky. Good timing. Sebastiao – what an amazing photograph! I am impressed that you captured such a clear picture framed so nicely from the window of an airplane! The snow is finally melting here in Cambridge and the sidewalks are re-emerging from their hibernation. This is a great reminder of what things looked like just month ago!